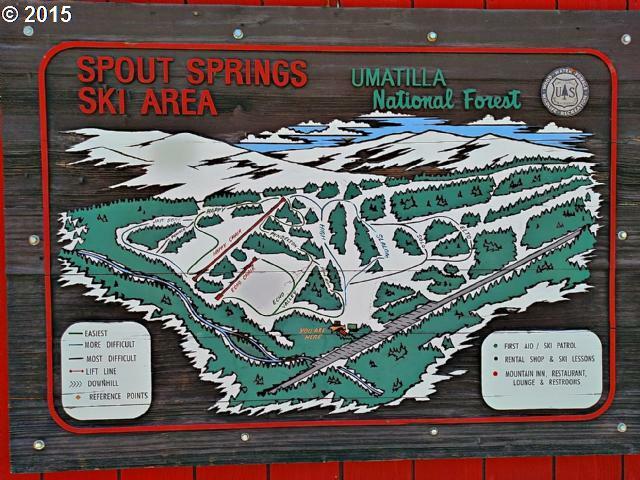 Spout Springs Ski Area, located in Northeastern Oregon, has been a family-owned and operated facility for 50 years—and now all 650 vertical feet are for sale for a cool $1.25 million. Sure, it sounds like the a lot to those of us budgeting our paychecks for lift tickets, but compared to Utah’s Park City Mountain Resort, which sold for $182.5 million last year, this little slope nugget is a steal. 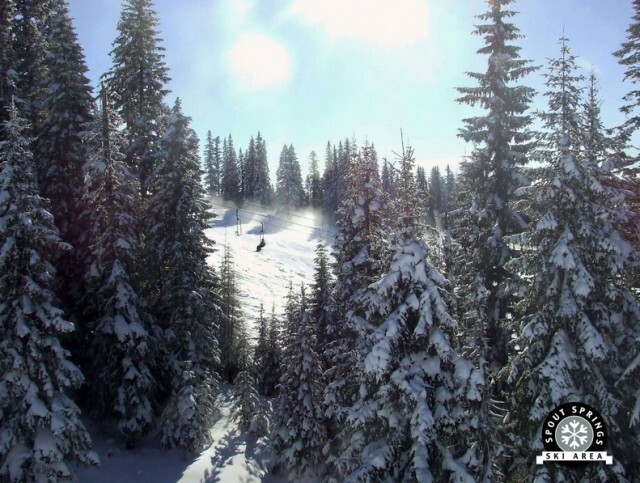 Located on the Walla Walla Ranger District of the Umatilla National Forest, the ski area covers approximately 1,411 acres with a base elevation of 4,850 feet and a top elevation of 5,500 feet. Spout Springs has been operational since the late 1920s. Not much has changed since then. PHOTO: Courtesy of real estate listing. The lucky buyer of Spout Springs will score themselves two double lifts that serve 256 skiable acres and a lodge equipped with restaurant, lounge, and fully loaded rental shop. Bonus: there's an owner's unit on site, too, that means your commute to the office and/or the snow just dropped to under 45 seconds. When you consider the median home price in Washington is $270,400, this deal just keeps getting sweeter. One of two double lifts will take you to the top off Spout Springs. PHOTO: Courtesy of real estate listing. But wait, there's more to love about Spout Springs. 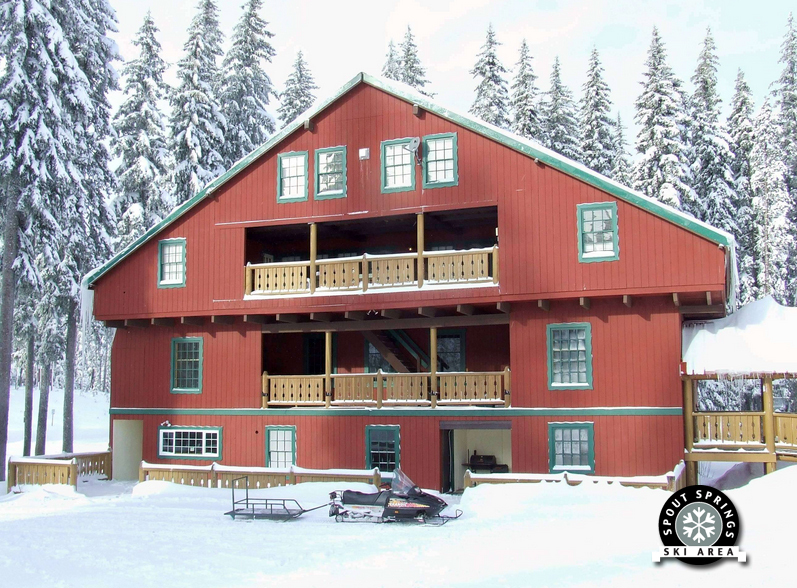 Even after you drop your million and a quarter to make this baby yours, a two-adult season pass will only run you $545—so you'll actually be able to afford skiing here as well. Just coming for the day? That'll be $35 for you and just $25 for the kiddo. Then again, if you own the place you probably aren’t buying lift tickets, so who cares. But for the rest of us, that sounds a lot more family friendly than the $121 price tag of a walk-up ticket at Jackson Hole. On par with the rest of the state, the area suffered a snow shortage last season with only 118 inches of the good stuff, but hey—that's snow business. The property is listed as "a turn key operation," as the current owner is ready to retire and open to all offers. So dig deep into your pockets, your couch cushions (or your trust fund), sign on the dotted line and it's all yours. You should be able to find your way pretty quickly. PHOTO: Courtesy of real estate listing.